As an affluent name of this domain, we hold expertise in the manufacturing of Modular Operation Theatre, Control Panel, IV Hanger and many more. Offered products are quality approved. 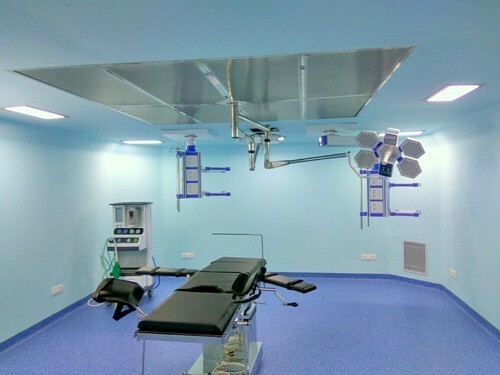 We bring forth our vast industrial experience and expertise in this business, involved in the manufacturing a wide range of Modular Operation Theatre, Control Panel, Pressure Relief Damper and many more. These products are available at reasonable prices.